We don't know who is buried here, but that doesn't matter. Is this a case of lost records, of an oversight when the cemetery was moved? Who is buried there? Someone who came to St. Paul alone? Without a family? A Jew? There is no ready answer and it doesn’t matter—we care for everyone. Today is Rosh Chodesh. On the most practical level this means an extra-long shacharit service, as evidenced by some surreptitious watch-checking this morning. It also means a lox platter after services. Gotta love a lox platter. But it also means a beautiful commentary on a beautiful commentary, and, most importantly, it means Hallel. Today as I was singing, my voice cracked a little at the line: “Even ma‘asu ha’bonim haita l’rosh pina.” (The stone that was rejected by the builders will become the cornerstone.) As usual, there are a lot of interpretations of this. This morning, I thought about Unknown as I sang that. 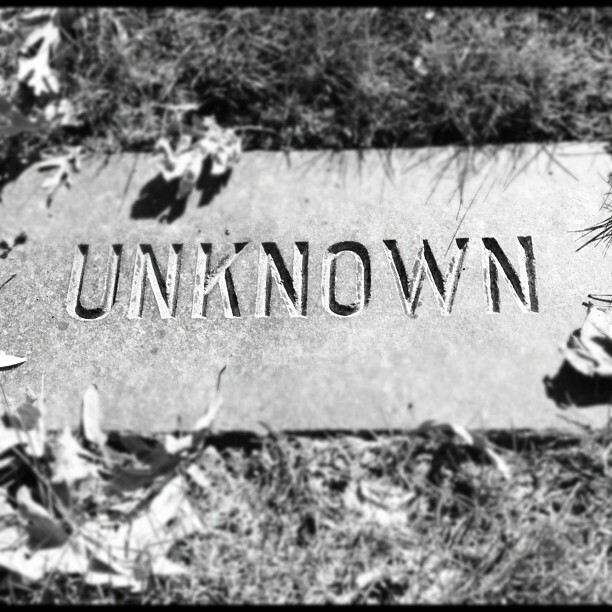 We are all, in some way, Unknown. We are all unknown, but we are also all asked to care for the unknown. Unknown does not necessarily mean rejected, and even if it does, those rejected people can be brought into the center, if we care for them as if they were known to us. Rosh Chodesh is the new moon, the darkest night of the month when keeping a light going is most important. The moon (seriously, you should have followed the link on the word “commentary“) wanted to know the advantage to being visible during the night and the day: “A latern in the daylight is useless,” she said. But she was mistaken. A lantern in the daylight reminds us that night’s coming and darkness, the unknown, is just a part of life.